Lawyer says signs required for unreinforced masonry buildings is unconstitutional for several reasons, including compelling unwanted government speech. Owners of unreinforced masonry buildings in Portland filed a federal lawsuit against the city Wednesday, Dec. 19, to repeal a requirement that they post signs warning of danger during major earthquakes. The City Council approved the requirement on Oct. 10. It says owners of some but not all unreinforced masonry buildings must post signs that read, "This Building is an Unreinforced Masonry Building. Unreinforced Masonry Buildings may be unsafe in an event of a Major Earthquake." Among other things, the lawsuit filed in Portland's U.S. District Court, alleges the requirement violates some building owners' First Amendment free speech rights and is not being applied equally to the owners of all such buildings. The city is requiring the owners of multifamily and commercial buildings to post the signs by March 1, 2019, but has given nonprofit organization and churches two years to post the signs, and has exempted single-family homes and duplexes, according to the lawsuit. The lawsuit was filed by Portland attorneys John DiLorenzo and Aaron Stuckey, who sued the City Council for misspending water and sewer funds, and won a $10 million settlement. The city does not comment on pending litigation. No court date has been set for the case. You can read the lawsuit here. The lawyers are representing three clients. One is the Masonry Building Owners of Oregon, a nonprofit corporation representing the interests of owners of masonry buildings, many of whom are subject to the requirement. The second is Fountain Village Development LLC, which owns Western Rooms, a mixed used multifamily and commercial building that appears on the city's interactive list of unreinforced masonry buildings, but has undergone significant seismic retrofitting, according to the lawsuit. 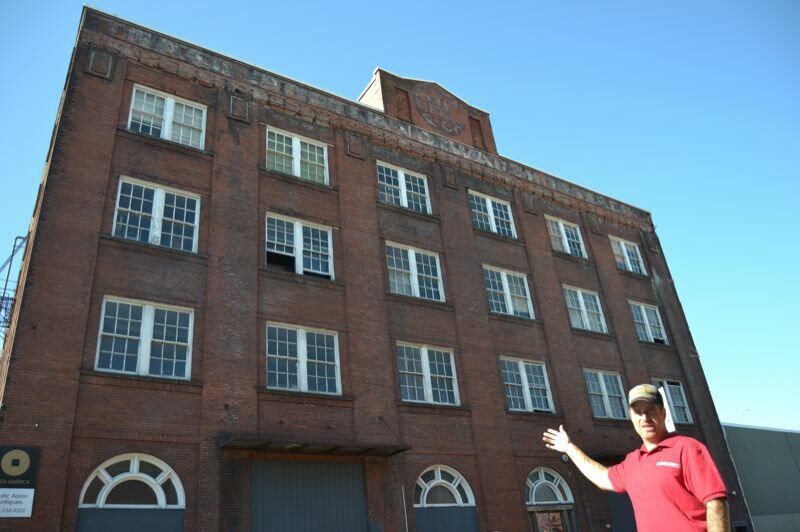 The third is developer Jim A. Atwood, in his capacity as trustee of the Jim A. Atwood Trust, an owner of a Glade Hotel, a building on the city's list subject to the requirement. The suit also alleges that the building owners' due process rights were violated by the requirement. There are about 1,800 unreinforced masonry buildings in Portland. Of those, 1,640 are believed to have not been retrofitted to survive an earthquake. The council discussed requiring owners to bring all of them up to current earthquake codes, but felt the cost — an average of $105 per square foot — is too expensive. The council intended requiring the warning signs to be a compromise, although the building owners group does not see it that way.